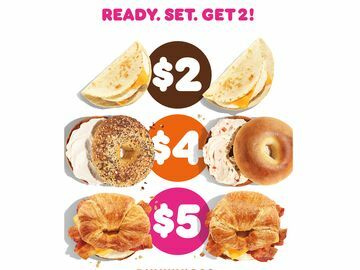 CANTON, MA (August 14, 2017) – Dunkin’ Donuts is doubling down on fall flavors, announcing today that the brand’s classic pumpkin coffees and baked goods will be back before the end of August, along with a new maple-flavored menu as a sweet addition to its autumn array. Dunkin’ Donuts’ eagerly anticipated pumpkin coffees, donuts, MUNCHKINS® donut hole treats, muffins and a new Pumpkin Cream Cheese Spread – along with new Maple Pecan flavored coffees, the new Maple Sugar Bacon Breakfast Sandwich, and a new Festive Fall Donut – will arrive at participating Dunkin’ Donuts restaurants no later than August 28, available for a limited time through fall. Dunkin’ Donuts’ new Maple Pecan flavored coffees and lattes serve a sweet and nutty taste for an exciting new way to stay energized around the changing of the seasons. 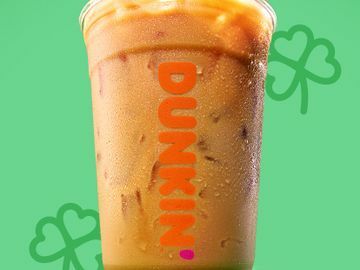 Maple Pecan flavor is available in the brand’s full coffee lineup, including hot or iced coffee, espresso beverages, Frozen Dunkin’ Coffee and Cold Brew coffee. The new Maple Sugar Bacon Breakfast Sandwich features a double portion of sweet caramelized Maple Sugar Cherrywood smoked bacon served on a freshly-baked croissant with egg and cheese. 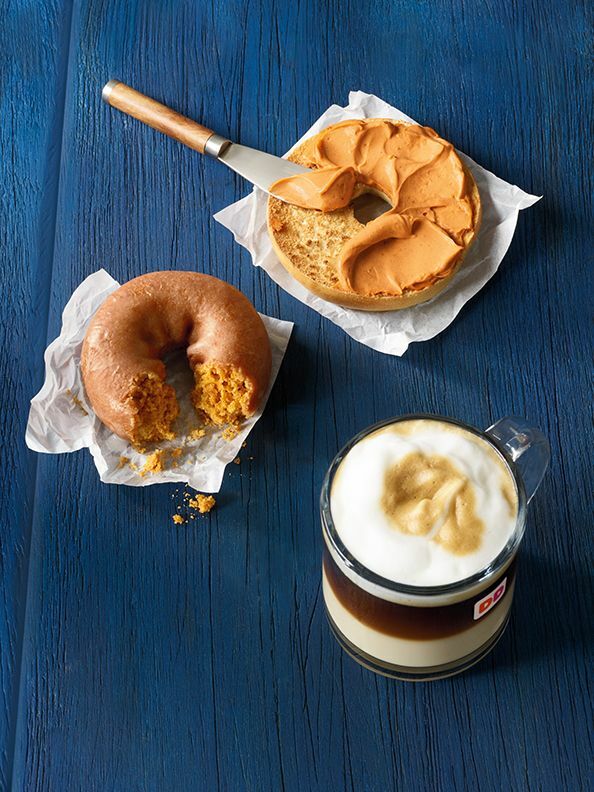 For a limited time, Dunkin’ Donuts is also offering new Pumpkin Cream Cheese Spread made with real pumpkin, bringing a favorite fall flavor to its classic rich and creamy cream cheese spread guests can enjoy on their favorite bagel variety. 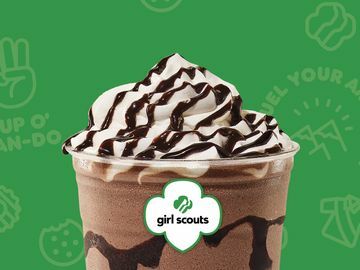 The brand will once again offer one of the largest varieties of pumpkin choices of any national restaurant chain, available all day long for a perfect fall treat any time. 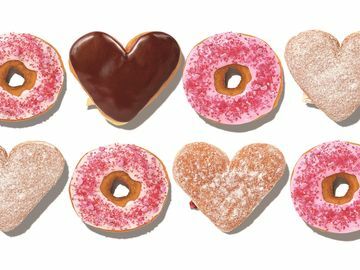 In addition to the brand’s beloved pumpkin flavored coffees and lattes – served hot, iced or frozen – Dunkin’ Donuts is also bringing back the Pumpkin Donut, a glazed pumpkin cake donut that can also be enjoyed as bite-size MUNCHKINS® donut hole treats. Dunkin’ Donuts’ Pumpkin Muffin is a pumpkin spiced autumn delight topped with white icing and sweet streusel crumbs. To help herald the upcoming arrival of Dunkin’ Donuts’ pumpkin coffees, the brand turned to Internet legend “Dancing Pumpkin Man” for an exclusive video performance available on Dunkin’ Donuts’ social channels or the Dunkin’ Donuts blog: https://news.dunkindonuts.com/blog/dancing-pumpkin-man-welcomes-the-return-of-pumpkin-at-dunkin. Dancing Pumpkin Man, who recently appeared on NBC’s America’s Got Talent and whose videos and memes have been shared by millions of fans over the past decade, visited a Dunkin’ Donuts restaurant to show off some new moves and his energy and excitement for the return of Dunkin’ Donuts’ pumpkin coffee. Dunkin’ Donuts has some additional exciting news for donut fans as well, introducing a new donut designed especially for fall, the new Festive Fall Donut. The new donut features a festive array of colors celebrating the autumn season, including red icing and chocolate and orange sprinkles. 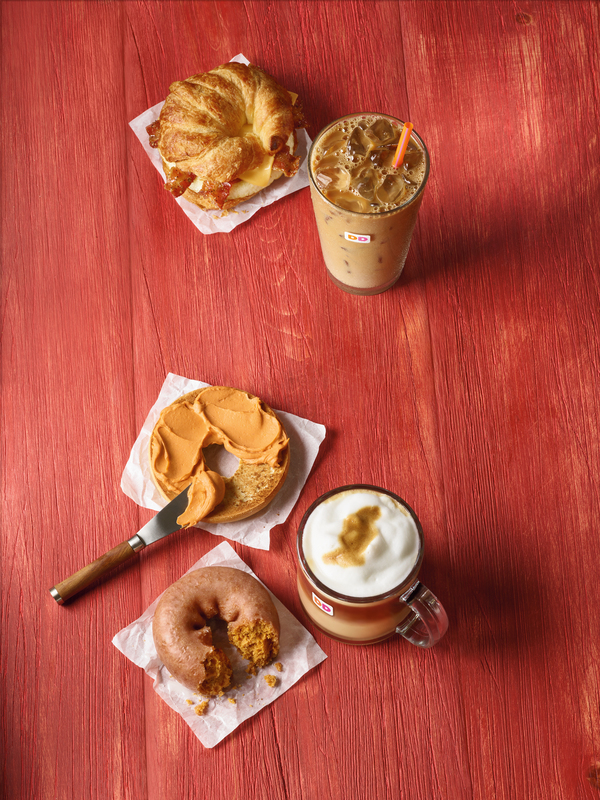 For a Dunkin’ Donuts classic, its Boston Kreme donut also pairs perfectly with the brand’s Pumpkin Macchiato for a delicious autumn duo. Finally, for fall brew-at-home options, Dunkin’ Donuts Pumpkin flavored K-Cup® pods will be available in a box of 14 individually-sized portions, and Dunkin’ Donuts’ packaged Pumpkin flavored coffee is available in a 16 oz. size. Both will be available at participating Dunkin’ Donuts restaurants as well as online at http://shop.dunkindonuts.com.